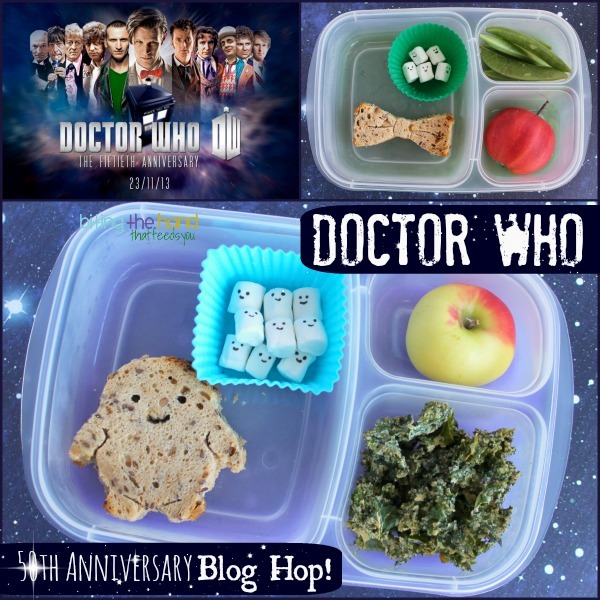 To celebrate, I made the girls some Whovian lunches, and Edible Geekery is doing a Doctor Who lunch Blog Hop! 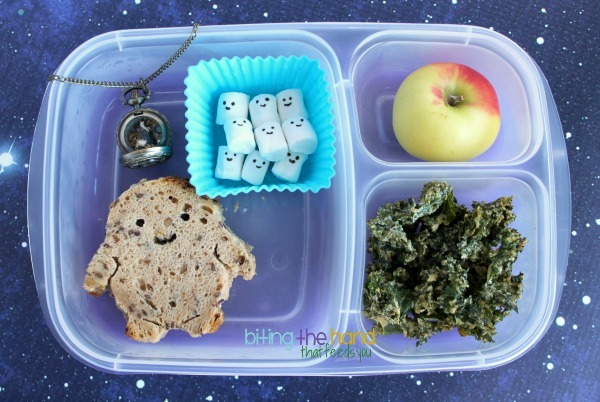 Sandwich made using an imprint bow tie cutter, and Adipose faces made with a food-based black food color and a toothpick. "The Fat Just Walks Away!" 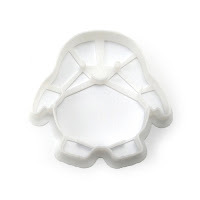 The crowning glory here is the Adipose sandwich, made using a special cookie cutter from WarpzonePrints. 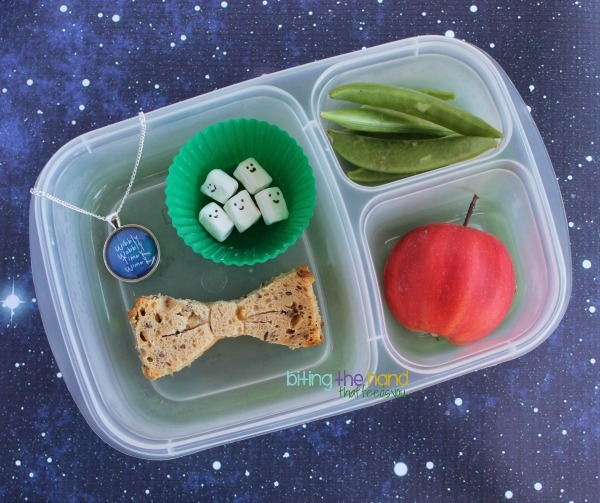 You can keep reading for a look at my Who-ey etsy treasures, or travel through time and space to see the timey-wimey treats at Lunches Fit For A Kid! 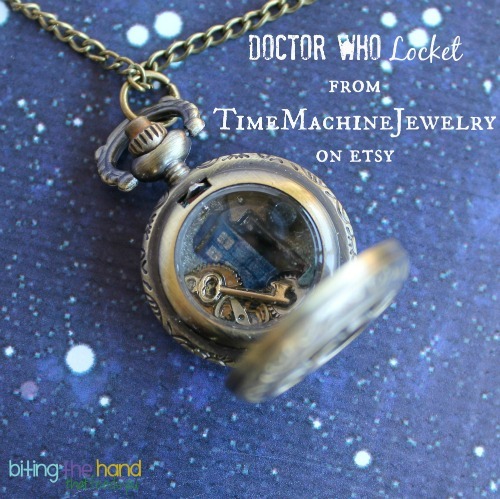 It was hard choosing just one of the one-of-a-kind Doctor Who lockets from TimeMachineJewelry on Etsy, but I managed. This one has an image of the TARDIS, a TARDIS key (yes, I know it's not the same style as the one in the show. This one looks more interesting though!) a little bob meant to look the his sonic screwdriver, and assorted timey-wimey bits. 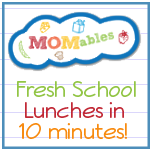 love your lunches!! And the dress is adorable! Hahahaaa! 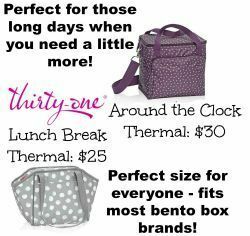 Your box is bigger on the inside! Omg! Love the adipose and bow tie. Love them and the outfit. 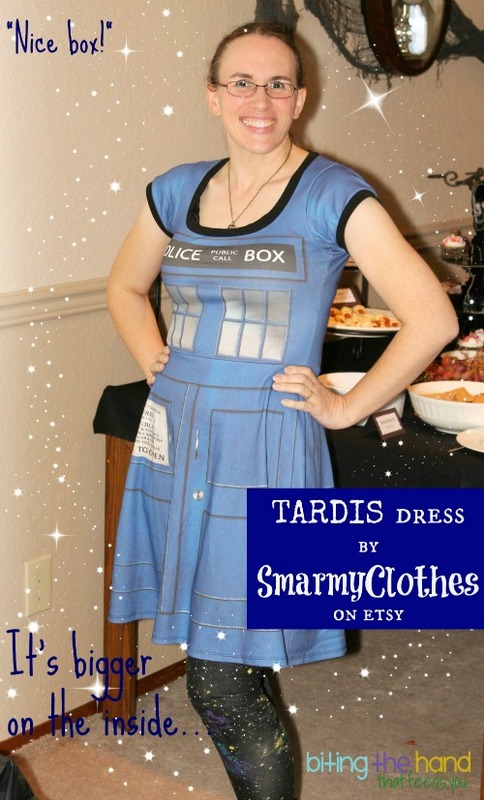 we would have been quite a pair I wore my red Dalek dress but not one pic of me as souffle girl. I just love the little adipose marshamllows most of all, they are so cute! Awesome post! 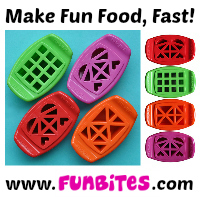 I love all your fun Who goodies too! Aww, yummy cute Adipose sandwich! 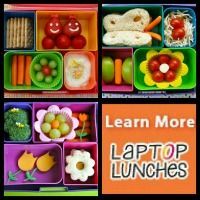 Love every bit of this post.. the lunches, the details, and your box!